When we were sending our hauler to Louisiana to pick up Cisco we got news that there was another Mustang in the killpen about to ship. We scrambled to get him safe and bring him home to Skydog Oregon. During the ride to us and the stopover in Colorado where they stopped for a week to build up strength, they formed a bond that hasn't been broken since they arrived. They hauled together, quarantined together, got stronger together and were ultimately turned out together. They are inseparable and we like to think they both know how lucky they got making it out of that dreadful place. 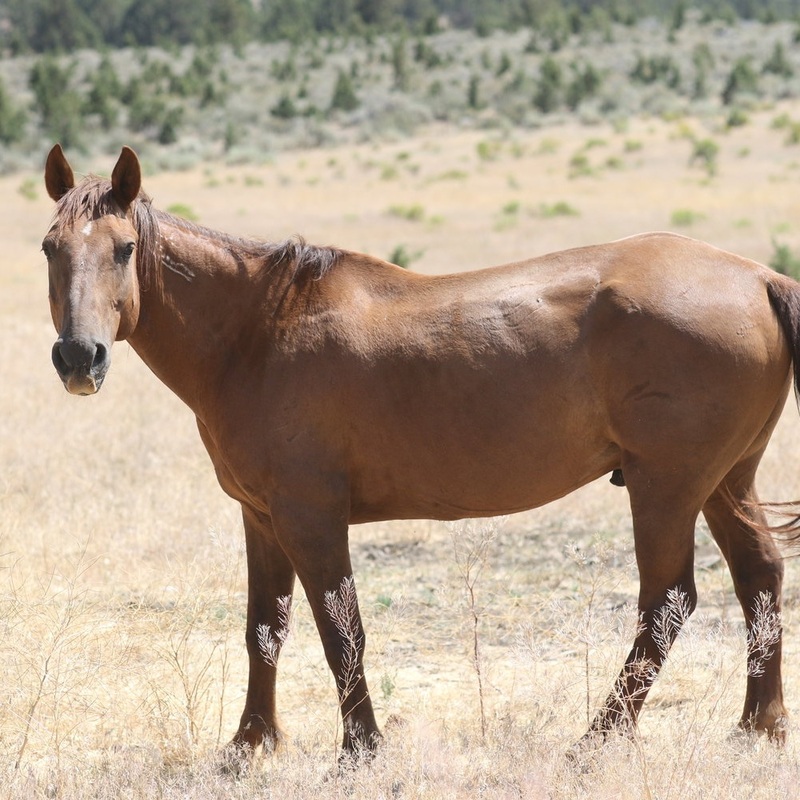 Feather is an 11 year old Nevada mustang and who knows what his story is. Apparently he used to be used as a ranch horse then left for several years and ended up dumped in a killpen. Since making his bond with Cisco he has been one of the most gentle, well balanced, slow and steady horses we have. For now we have turned him and Cisco out with the bachelor band running free on a thousand acres of our ranch with their own pond and trees for shade and pasture to graze. We are so happy for the accident that was Feather's rescue and hope he lives a long and happy life with his best friend.